Dekoron Unitherm is excited to present this new product line and new service for our customers. 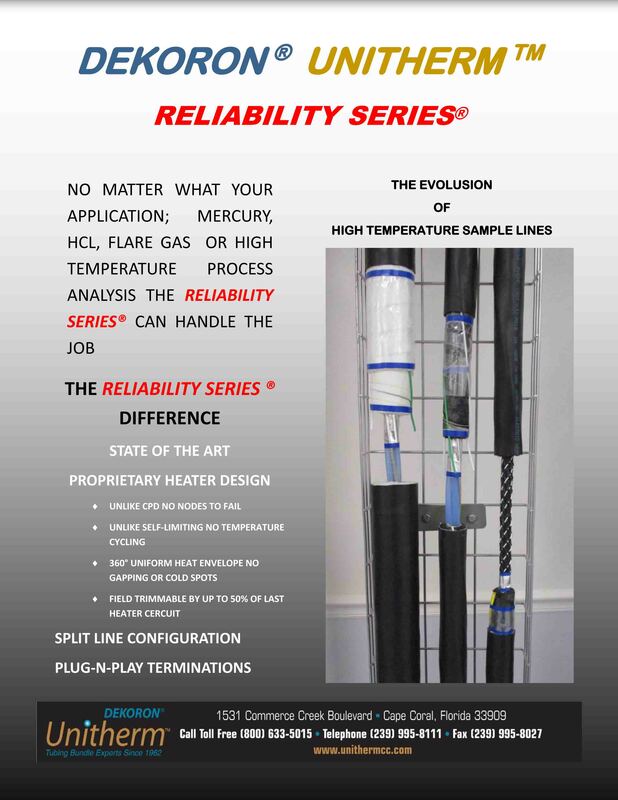 The Reliability Series Electrically Heated Umbilicals is the evolution of electric traced umbilicals for continuous emissions monitoring applications and other applications requiring a robust umbilical capable of maintaining temperatures above 325F (162C) and higher. And a new service designed with the maintenance crew in mind. 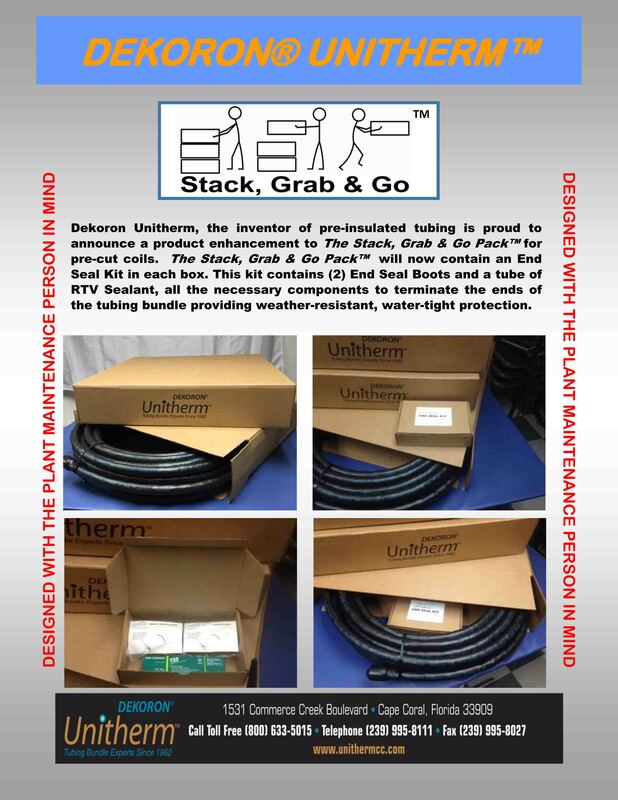 The “Stack, Grab & Go” carton for Dekoron Unitherm 2200 Pre-insulated tubing. Easier to order, easier to store, and easier to install. For information on these and other products, contact your Dekoron Unitherm Representative or call (800) 633-5015 in the US, or +1.239.995.8111 world wide.